Upholding this vision of Harbor Shores are the Architects and builders who have been approved by the Architectural Review Board. These custom home builders have been through a screening process to confirm business licensure, membership in a local chapter of the National Association of Home Builders, and a good track record with the Harbor Shores ARC. Using their talent, creativity and experience, they design and build homes that compliment the land and add lasting value to Harbor Shores. We are proud to introduce them to you. The Harbor Shores home builder program is a service designed to help make your building process easier by identifying area , professional builders with the experience and track record YOU would want in your home builder. We’ve interviewed each builder through a rigorous five point review process and the outcome is a group of top-notch craftsmen in one neat, easy-to-find package. Founded in 2003 by Dustin Carpenter and Nathan Abbott, Falcon Custom Homes is a company dedicated to providing homebuyers with an experience like no other. With over 15 years of construction experience and degrees in construction management from Michigan State, Dustin and Nathan have the skills and knowledge necessary to create the level of quality Falcon Custom Homes is known for. As the exclusive builder of the Hideaway cottages, Powell Construction strives to be different in everything that we do. We are about the experience, building relationships as well as building homes. We believe that the home building experience should be enjoyable, not just for you, but for us as well and it’s our team that makes this process enjoyable. 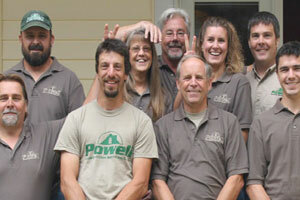 Our team of carpenters knows they are working on your home, not just another job. Throughout the building process, you will find that we continually earn the trust you put in us from day one. As a licensed custom home builder in Southwest Michigan for over a decade, Schmidke Construction & Contracting, LLC has established a reputation for superior quality in new residential construction and remodels along the Lake Michigan shoreline and in communities across Berrien County. 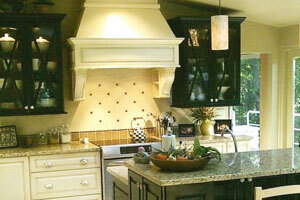 Christie Custom Builders have been producing homes of distinction for over 30 years. 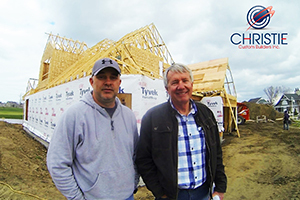 Dale Christie and Mike McDowell have partnered with only the highest quality carpenters in Southwest Michigan, subcontractors that have been with him since the beginning yet offer a product that is current with the changing times. He and his full-time project manager have a combined 48 years of experience and he has a staff that was taught by the best. 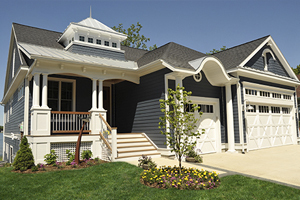 Christie Custom Builders have been building its reputation, one home at a time.